I highly, highly recommend going to see this movie. Whether you or someone you know are suffering from cancer or any other dis-ease, whether you’re looking for prevention, or whether you just want to keep yourself informed with accurate, truthful information. There is a question and answer tonight (Friday) with Charlotte Gerson at the 5pm show, or with her son at the 7:20pm show. It is important that people go to see this before Sunday, the better it does her in Los Angeles, the more theatres across the states will pick it up. It is playing until this Thursday, but please try to see it by Sunday. 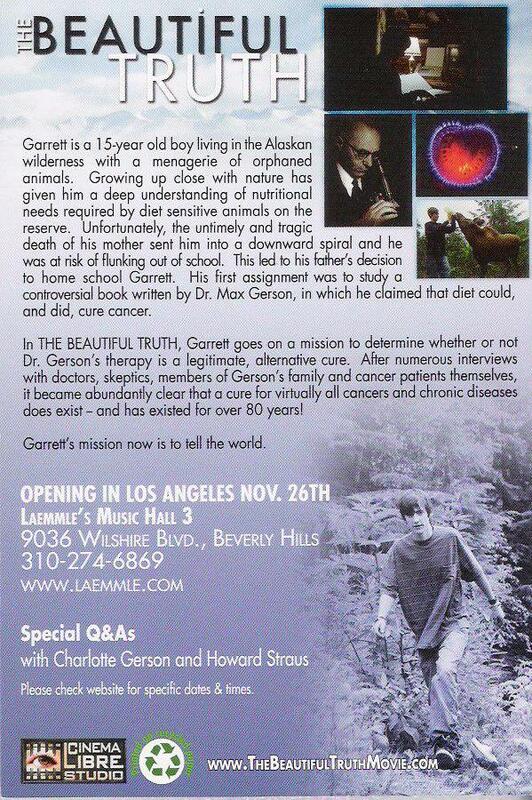 The information offered in this movie is priceless, it is so informative and shocking. 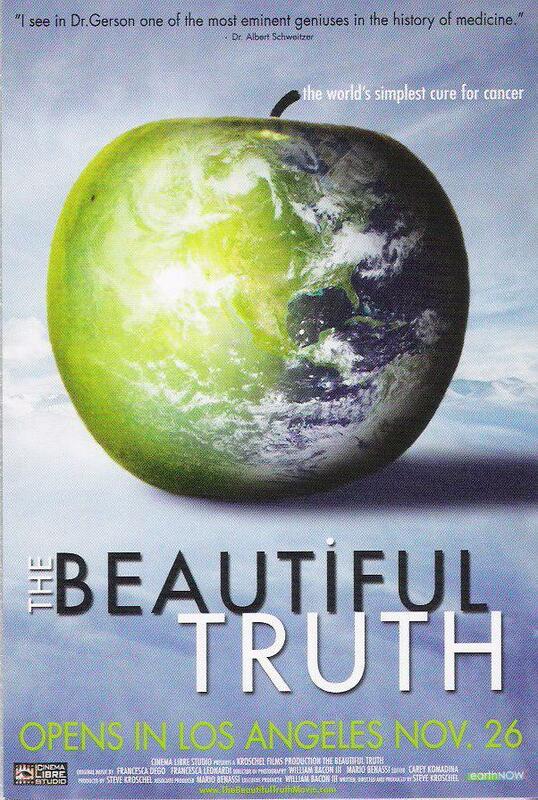 Again, I HIGHLY recommend ‘The Beautiful Truth’.